5412 Cambie Street, Vancouver - Studio, 0 bath - For Sale | Matt Pozer - Oakwyn Realty Ltd. Perfect opportunity for development in the heart of the Cambie Corridor Phase II. This 68 x 122 8296 sq ft lot is slated for one of Vancouver's most exciting facelifts with allowance of up to 6 stories of residential usage. 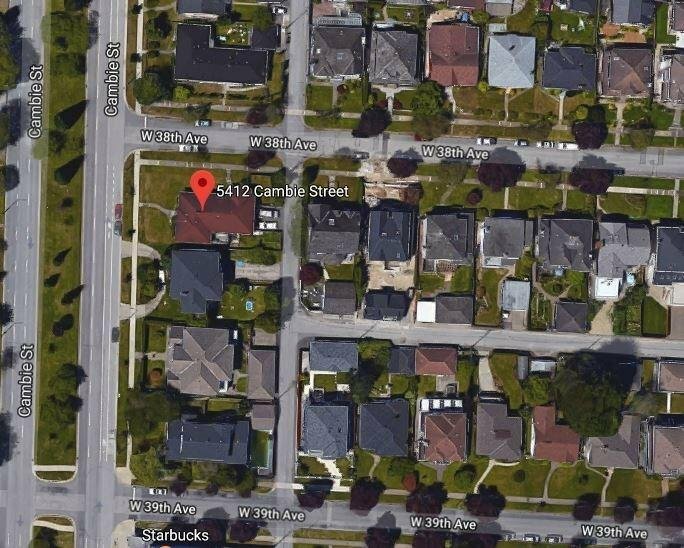 Sitting at one of the most desired locations just a few blocks from Cambie and 41st Ave, this home can purchased as a holding property, or eventually assembled with the others on the block. 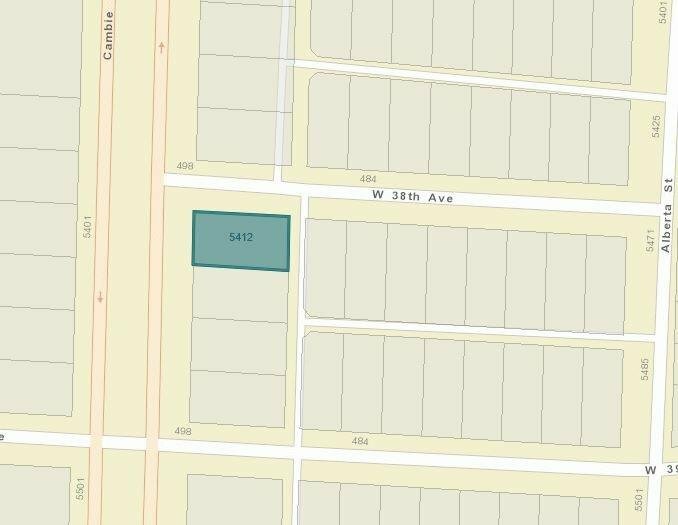 Possible to acquire the adjacent property.